Modern vehicles are multifaceted pieces of equipment. They require regular maintenance and services are required to keep them operating at their best. 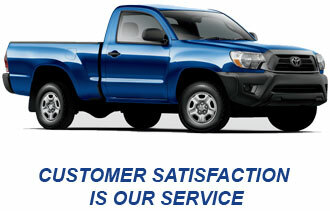 When something happens with a car or truck it’s important to ensure it’s serviced quickly and correctly. Napa Auto Repair’s professional technicians are trained to diagnose, replace, or repair many makes and models of vehicles. My brakes make a hissing noise when I press the brake pedal. Why? The hissing noise could be your wear indicator letting you know your brake pad is low and needs to be replaced. Why are my brakes making a grinding noise when I press the pedal? This sound is often an alert of worn out metal backing in your brake pads. This grinding on your rotor causes more damage to your brakes. Brake repair is needed immediately in this case. How come my brake pedal will occasionally fade or feel soft, possibly going all the way to the floor? In this case come in immediately, this could be a defective master cylinder. My brake pedal is very stiff, similar to when the engine is off. Why? This is most likely a defective power booster. Come in immediately for brake repairs. I was told my brake fluid reservoir is low. What should I do? Most likely this is because of normal brake wearing. If the reservoir is extremely low or even appears empty it could be signs of a leak somewhere in the brake’s hydraulic system. If this is the case a brake repair is needed immediately. When I brake, the brake pedal and/or the car pulsates. Why? This is an indication that your rotors, or drums, are out of round. Meaning not perfectly round, as they should be. Resurfacing or replacement can fix the problem. My car was running fine. Now it just will not start. What should I do? The Arizona heat can be tough on car and truck batteries. Without reason one day it will work and the next it won’t. Make sure to have both of your battery and charging system checked. How come my car starts and stalls, or turns over but will not start? This is likely because of a dirty fuel filter or a faulty fuel pump. Have this checked by a professional. My car runs rough. Why? Your car may need a general tune up. My car pulls to one side of the road lately, why? This could be a potential simple fix. Begin first by starting by checking and adjusting the air pressure in the tires and inspecting the tire for uneven tire wear. Or it could be the result of worn out rod ends. The front-end alignment would be the best start to correct the issue. Why does my car bounce so much? Your shocks or struts are probably worn out. Have your vehicle inspected immediately. Can you tell me why my car vibrates on the highway? It could be as simple as a tire balance issue. Have your tires balanced is a routine as inexpensive fix. I noticed grease on the inside of the fender, how come? This is probably from a torn CV Boot, which if replaced soon enough can be all that’s necessary. How come I hear a clicking noise whenever I make turns in a parking lot? Immediately replace your CV axel. Enter your email to receive offers and promos in your inbox. © Discount Brake Tune 'N Lube. All Rights Reserved.